Across the country there are band programs that locally have a big following and get lots of recognition, but nationally don't typically get the love and attention they deserve. 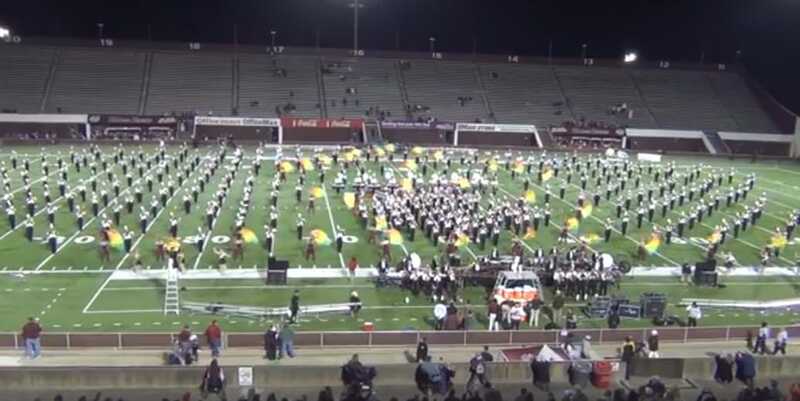 One of those bands is the UMASS Minuteman Marching Band. These guys will blow you away! We were able to visit with their staff this past summer and we can tell you first hand that they can march into any stadium and absolutely take over. Like the Jacksonville State Marching Southerners, this is a band that immediately draws the attention of everyone in the crowd with their size and monster sound. Let's just say they you better put your best show on the field that day or else they will blow you out of your own stadium. Under the direction of Dr. Tim Anderson this band will continue to be the king of the northeast and we can't wait to see what they do next. Enjoy this monster postgame performance from their recent game against Appalachian State. Crazy good! And all the singers were in band! They are amazing! !